9 carat gold Diamond set earrings with wholesale online prices and ordering. 9ct Diamond ear studs and drop design earrings. Fancy Solitaire Diamond earring studs, Gemstone with Diamond set earrings and all forms of Real Diamonds set ear studs set in White 9ct Gold and Yellow Gold settings. 9ct Gold Smokey Quartz stone set Earring Studs (pair). 9ct Gold Square shape Real Diamond Solitaire set 5mm Earring Studs. 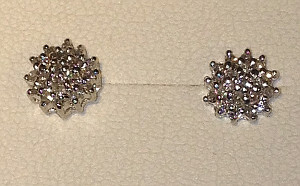 10 points Diamonds Solitaire Studs (pair). 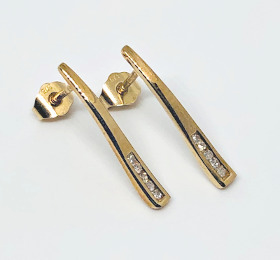 9 carat yellow Gold Diamond set Bar curvy Stick Earring Studs. Each Stud set with 5 Brilliant Diamonds. 50pts Diamond pave set 9ct Gold Heart shape Earring Studs, 12mm size (pair). 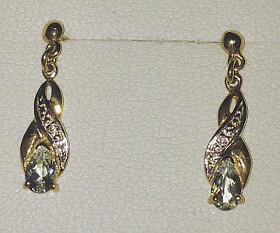 9 carat Gold Leaves design drop Earrings set with Real Diamonds. 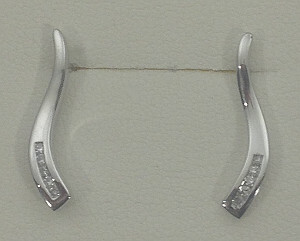 9 carat White Gold strands Diamond set Pull Through style Earrings. Long 60mm length. 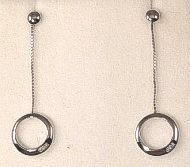 9 carat White Gold Circles on drop Strands Diamond set Earrings. 9 carat White Gold Topaz stone and Diamond set Drop Earring Studs. 9 carat Yellow Gold 0.10 Carat Diamonds Solitaire Ear Studs. 9 carat Yellow Gold 0.25 Carat Diamonds Solitaire Ear Studs. 18 carat White Gold Drop Earrings set with 0.33 Carats of Brilliant Diamonds. Stunning floating Diamonds setting long 36mm drop pair of earrings. 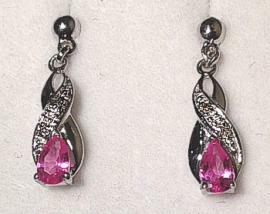 9 carat White Gold Pink Topaz teardrop cut stone and Diamond set drop Earrings. 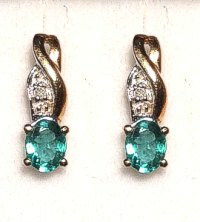 Emerald and Diamond set 9ct Yellow Gold Earring Studs. 9 carat yellow Gold Large Hoop Earrings set with Diamonds. 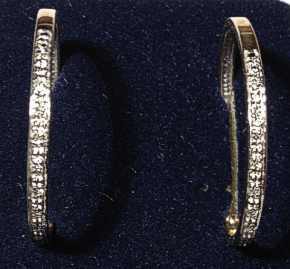 Pair of 9ct Gold Hoops each set half around with 10 genuine Diamonds. 25mm size Hoop. 9ct yellow Gold Earring Studs, each set with an oval Topaz (approx. 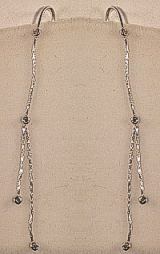 4mm x 3mm) plus 3 genuine Diamonds (approx. 1mm each stone Round cut). 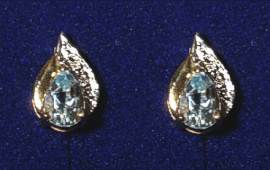 Diamond and Teardrop cut Light Blue Topaz stone (approx 6mm x 4mm) set 9 carat yellow Gold Ear Studs. 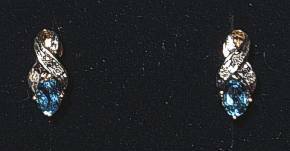 Each stud approx. dimensions 11mm x 7mm. 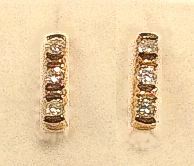 9ct Gold Trilogy Diamond 20 points Earring Studs. Bar design setting in 9 carat yellow Gold 0.20Carat Diamonds trilogy ear studs. 9 carat Gold 0.05 Carat Diamond Solitaire Ear Stud. 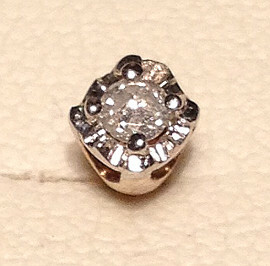 5 point Solitaire Diamond Ear Stud in 9 carat Gold (single stud). 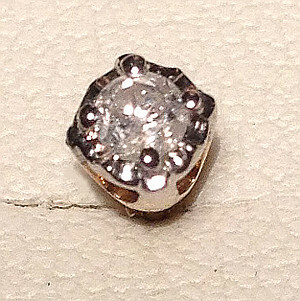 0.10 Carat Solitaire Diamond single Earring 9ct Gold Stud. 9 carat White Gold Diamond set Football design Ear Stud. 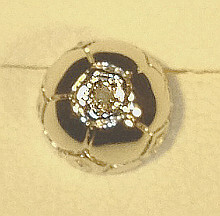 Centrally set Diamond within Football shaped Earring Stud, including 9ct earring butterfly back (single stud). 9 carat yellow Gold Diamond encrusted Football Boot design Earring Stud with butterfly earring back. 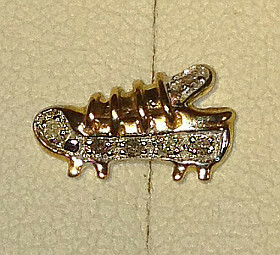 Football Boot shape 9ct Gold Ear Stud set with six genuine Diamonds (single stud). 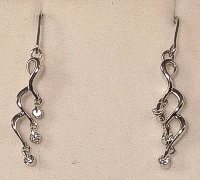 9 carat White Gold 10pts Diamonds set Stick Wave design earring studs. 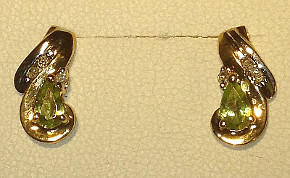 9ct Gold pear cut Peridot and Diamonds set Ear Studs (pair). Light Blue pear cut Topaz and Diamond set drop earrings. 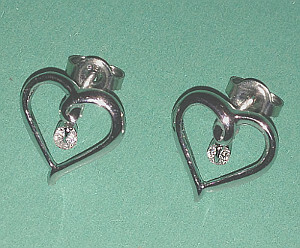 18 carat White Gold Large Open Heart design 0.10 Carat Diamond set Earring Studs. 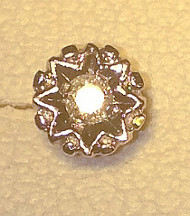 9ct White Gold Diamond Cluster Ear Studs 20 points Diamonds. 9 carat Gold Open Heart design Diamond set Earring Studs (pair). 9 carat Yellow Gold Earring Cross shape Studs set with real Diamonds. Pair of Diamond Cross Gold Studs 10points Diamonds.